Florida and Arizona have been the country's ultimate retirement destinations for almost a century now. While recent years have seen some newer states become popular among active adults, none come close to the popularity of Florida and Arizona. One other thing these warm-weather states have in common is spring training baseball. Spring training dates back to the late 1800s, then it was spread out across the South and West. It wasn't until post-World War II that all teams began their seasons in Florida and Arizona. Thus began spring training as we know it, including the Grapefruit and Cactus Leagues. Today, spring training is hugely popular among fans and players alike. Residents of Florida and Arizona get to enjoy the spectacle every year, while northern fans relish the chance to escape the cold and see their favorite players and teams again. Another group of people who benefit from the spring training is active adults. Spring training is the perfect time to see a favorite MLB team and check out popular 55+ communities. With Cactus League teams centrally located in Phoenix and Grapefruit teams around the Florida coasts and Central Florida, there are plenty of communities to try before you buy. Over the next few days we'll guide readers through the Grapefruit and Cactus Leagues and the best travel routes to take, stadiums to see, and 55+ communities to visit this spring. 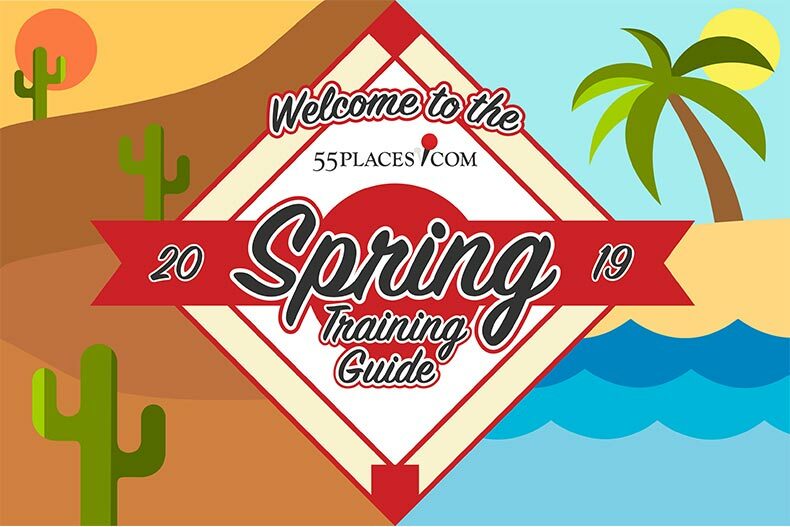 Whether you're a New York Yankees fan looking in Tampa, a Chicago Cubs fan looking in Mesa, or anything in-between, our spring training guide will have you covered.